Little Sweetheart Hat - monemades Webseite! Obviously working on Ulli's mitts turned the weekend into one for 'speed knitting', because I whipped up another project I had meant to knit forever. 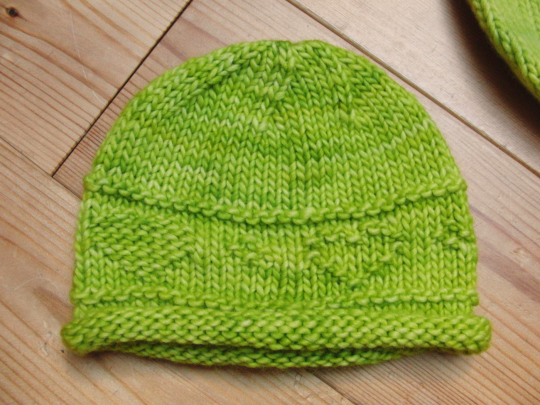 A wee baby hat for Laurel's Octavius who is due in a few weeks and which is supposed to go with my 'Little Sweetheart Sleeping Sack'.